Madrid is definitely a place to enjoy and have fun. Special plans and parties are abundant in this friendly city and it welcomes lots of people eager to entertain when the sun goes down. In this article you will read about some suggestions about things to do in Madrid at night, loved not only by tourists but also by local citizens. As you may know, flamenco is a tradition that comes from Andalusia. Gypsy people, Moorish culture and Andalusian tradition are some of the foundations that were used to create this original genre of music. It is admired all over the world. Because passion is the main feature of this music, it is played with guitars, local drums (cajon) and castanets, combined with handclapping, dances and acute voices. Today, flamenco has become a tradition in most of the regions of Spain, including Madrid. Here, you will find many a place to watch it live. For instance, one such place is Las Tablas Nuevo Espacio Escenico.It is a tablao (concert hall), which hosts some of the most surprising flamenco shows and is located close to Plaza de España and the Royal Palace. Some other renowned places in Madrid are Corral de la Moreria which is close to Vistillas Gardens, and Cardamomo, a concert hall that is located in Echegaray Street not very far from Spanish Parliament. The ticket you buy usually includes a local drink like sangria or a complete dinner for two people. If you are asking yourself what to do in Madrid at night, there are many possibilities. Gran Via is one of them. This is probably the most important avenue in the city for those who love theatre. In fact, it is known as the Broadway of Madrid because it gathers many important stages, especially in the area between Plaza de Callao and Plaza de España. Its neon lights shine bright in the night showing lovely plays such as The Lion King and other musicals that attract thousands of people every month. Important actors and actresses star in these plays andt tour the whole country afterwards. Apart from musicals, other suggestions that you can enjoy in Gran Via are monologues and modern plays. There are also some interesting bars in this street. 40 Cafe is the musical bar of the local radio station 40 Principales, where young and mid-aged people can have dinner or a drink surrounded by photos of legendary bands such as The Rolling Stones and The Beatles. 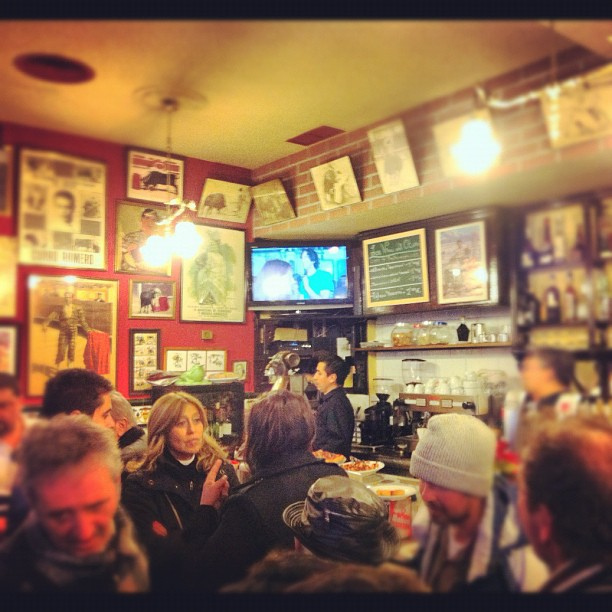 If you want to know what to do in Madrid at night to eat something quick, the options are plentiful. Madrid hosts a number of tapas bars. These are nice locales that mix the features of a restaurant and a pub. On one hand, you have delicious local food such as Paella and jamon, served in dishes to share with your friends. Yet on the other hand, the atmosphere reminds you of a pub, with people standing and music. You will find these kinds of places in the historic heart of the city. San Miguel Market is probably the most famous option currently. This old and humble market, located beside Plaza Mayor, became a gourmet tapas place not too long ago. Delicacies from the whole country can be sampled there. Not very far from there, Cava Baja street is a nice area that mixes ancient restaurants with modern tapas bars. In Barrio de las Letras, the best bars are located around Plaza de Santa Ana, while Tribunal is a good borough for the youngest and most alternative tourists. Aside from this, Chueca has become the main meeting point for gay tourists, as this borough is full of pubs and bars catered to the LGBT community..
As you see, whether you travel alone, with another couple or with your family, there are many things to do in Madrid at night. Food and culture are some of the options that this city offers to tourists. Follow us on our blog, Facebookand Twitter if you don’t want to miss any good planning ideas during your travel to the capital of Spain.